This is one of those meals that our whole family enjoys. 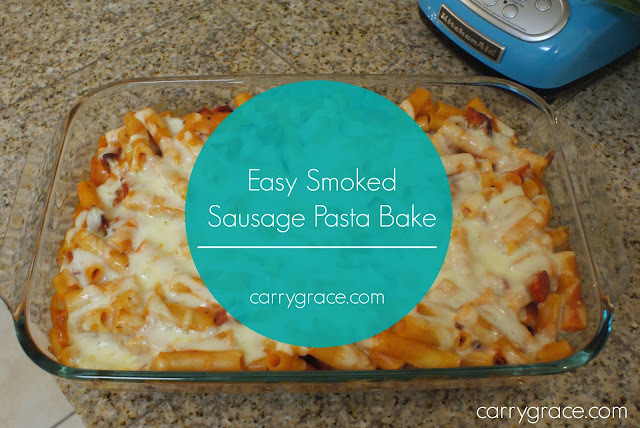 I like it because I usually have these ingredients on hand and I can throw it together fast. Garlic powder and oregano are optional. If you want them, just sprinkle a little on the sausage while it is cooking. Cook pasta according to the directions on the box in a large pot. Slice the sausage into small pieces and then brown in a pan. Drain on a paper towel. Once pasta is done, drain, and return to large pot. Add both jars of pasta sauce to the pasta and stir until incorporated. 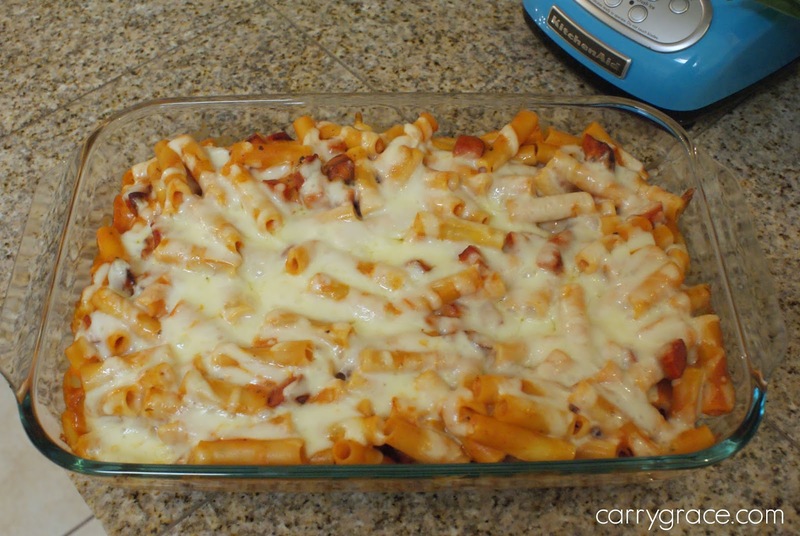 Pour pasta mixture into a 9 x 13 casserole dish and cover with mozzarella cheese. Bake at 350 degrees our until cheese is nice and melted. We usually eat half one night and then eat the leftovers, but it would be easy to make in two 8x8 pans and stick one in the freezer for a later date. Want to watch me make it? You can see it right here. That looks yummy! I would not have thought to mix the two sauces, but it makes sense. You can't beat creamy tomato sauce on pasta with cheese!